What exactly are free online homeschooling programs? Do these programs help or hinder my desire to teach my child at home without government interference because I know how my child learns best? I decided to research several free online homeschooling programs to determine what makes this option so appealing to families; many of which are former private, home school families, too. 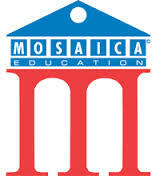 I chose Easy Peasy All-in-One Homeschool, K12, and Mosaica after doing a quick Internet search. There were many others but I decided these programs were worth looking into because I'd heard of them already or their description seemed interesting. Generally speaking, all of these online systems classified the parents as a Learning Coach or similar kind of title. You need to make sure the program you're considering is available in your area, as some of them are only offered in limited areas. Documents are sent to the virtual school via fax, postal mail or email. Once your registration has been processed, you should receive books and other materials within a few weeks. Your child(ren) will have an individualized course of study created for them. These schools utilize a state curriculum although some supplementation of their resources can occur. The virtual schools cater to struggling learners, average students, and gifted learners, too. Initially, the parent and students work together to make sure the lessons are being completed. Later on, the student becomes solely responsible for his lessons and the parents are supporters. The virtual teachers are responsible for teaching the lessons and are available for consultation and even meetings in some instances. State-of-the-art technology is used to demonstrate lessons, handle assessments, and schedule assignments. If socialization is a big concern for you, there are online meet-ups, virtual hangouts, and field trips that are available for the students. Using any of these free online homeschooling programs might work for you if that is what you need. However, it seems that when parents are looking to instill their own values in a child, it may be counterproductive to relinquish that freedom by electing to go this route. I recall hearing many years ago when the voucher initiative was a hot topic in Southern CA that government control generally follows its funds! So consider exactly what you may be giving up by inviting the government funded entities (via taxes) and their "free" curriculum, laptops, and certified teachers to educate your children using standards and curriculum that has not succeeded in the traditional schools. Also, consider that there is an abundance of suitable free, online homeschooling curriculum and other resources that you can tailor to your children's needs if the cost of teaching at home is financially challenging. If you have used any of these virtual programs or others, please leave a comment on the Facebook page or the Contact page on this site.